Noisy construction to Elder dining hall has reportedly affected residents’ emotional and mental health, as well as their academic performance. Studying for finals in Elder Hall’s first-floor lounge, Weinberg freshman Abby Heath was alarmed when she heard “jackhammer noises” beneath her. She quickly realized where the noise was coming from: the construction zone in Elder dining hall. After weeks of living in a building Weinberg sophomore Wesley Shirola called “uninhabitable,” he led residents in creating a petition that asks for limited construction days and times in Elder Hall. It also advocates for Elder residents to receive a reimbursement for housing fees. Shirola, a columnist for The Daily, created the petition after contacting NU personnel, only to receive “single-line” responses or no answers at all. He said he did not expect to get more than 50 signatures on the petition, but it currently has over 200. While Compass Group North America planned to complete Elder dining hall renovations by December 2018, students learned this Winter Quarter that this was no longer the case. As previously reported by The Daily, an email sent by student affairs administrators said “it became clear” in the fall of 2018 that the renovation plan for the dining hall “would need to be adjusted” to incorporate features like a new kosher kitchen. Georgene Sardis, a marketing director for Compass, said in an email to The Daily that “renovations at Elder are currently on track.” She added that the dining hall is proposed to be finished by summer 2019. Upon hearing about the delay, McCormick freshman Miranda Swartz was not surprised. Elder dining hall was formerly visible through a window in the building’s entrance way, and Swartz said she saw no construction occurring during Fall Quarter. 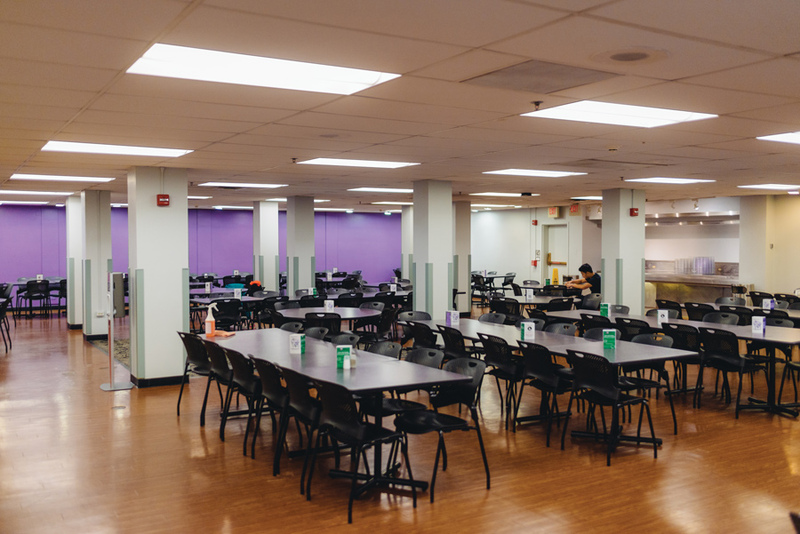 Due to the extended renovation period, Northwestern Dining has provided breakfast and dinner options for residents of Elder, as well as implemented a Meal Exchange program for all NU students on the Open Access and Base 14 meal plans. Sardis said students have been “appreciative” of both programs. Now, with the petition circulating on students’ Facebook pages and via text message, Weinberg freshman Katherine Gu said the greater NU community is made aware of “the low level of care administrators seem to have for students’ living conditions.” Since April 12, when the petition was published, students, parents and alumni have commented on its page, expressing their “disappointment” with the construction and how it is affecting students’ mental and emotional health, as well as academic performance. Additionally, on April 15, Stacey Brown, the director of NU Dining services, and Jim Roberts, the senior executive director for division services, will hold an Elder Hall Dining Forum. In an email to residents, the event is described as a time to express their concerns about the construction. But Shirola said he is unsure of whether or not the town hall or petition will make a difference.